"This edition is long overdue as the case law development has been significant since the publication of the first edition. 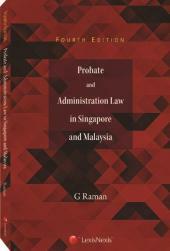 I am heartened to note that the book takes into account all the important decisions of the appellate courts, especially those of the Court of Appeal which have laid down broad principles to guide the lower courts...."
"This edition is long overdue as the case law development has been significant since the publication of the first edition. I am heartened to note that the book takes into account all the important decisions of the appellate courts, especially those of the Court of Appeal which have laid down broad principles to guide the lower courts. 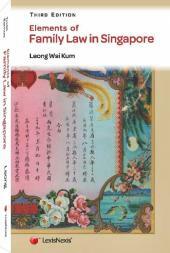 Certain principles (such as the fact that the court's discretion in the context of the division of matrimonial assets is to be exercised in broad strokes rather than by way of an unrealistic mathematical approach) are re-emphasised, but specific principles have also been noted in this work. Briefly touching on only two areas, first, in relation to the division of matrimonial assets, there is reference to decisions which deal with a number of significant issues. For example, the Court of Appeal has confirmed that there is no starting point or presumption or norm of equality of division, although it would not hesitate to award half (or even more than half) of the matrimonial assets in an appropriate case. To take another example, the Court has also reiterated that it is not mandatory for a court to exercise its powers of division under s 112 of the Women's Charter and that it may decline to do so in an appropriate case where there are valid reasons not to do so. Secondly, turning to the law relating to the custody (as well as care and control) of children, the decision of the Court of Appeal in CX v CY  3 SLR 690 is a significant one and is, not surprisingly, referred to a number of times in the present work. There are other decisions in the law of custody as well. Indeed, the case law development across the entire field of family law since the previous edition is too extensive to detail here, although it is encouraging to note that amongst the various decisions referred to are many emanating from the Family Court itself. 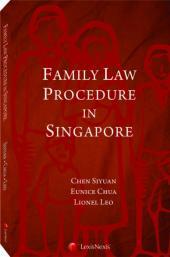 In addition, this edition also describes the equally important procedural developments that have taken place in the adjudication process as well as those to mediation and counselling in the Family Court as well as the Juvenile Court. This is a work which I would strongly commend to practitioners, academics and students alike."